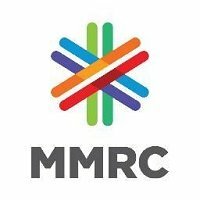 Deputy Engineer Vacancy – Last Date 18 March 2019 (Mumbai, Maharashtra), Mumbai Metro Rail Corporation Limited (MMRCL) recruits Deputy Engineer posts. Degree in Engineering experienced candidates can apply. Mandatory :Sr. Supervisor having total minimum 04 years of service with Grade Pay of Rs. 4,800/- or  Officer currently working in Jr. Scale with Grade Pay of Rs. 5,400/- with minimum 02 years’ experience in “desirable” domain for the post; or  Total minimum 04 years of experience in Rs. 18,500-35,600/- (pre-revision) in IDA pay scale with minimum 02 years post qualification experience in “desirable” domain for the post; or  Total minimum 04 years of postqualification experience in Executive grade in Government entities in “desirable” domain for the post; or  Total minimum 05 years of postqualification experience in reputed Private sector in Executive grade in “desirable” domain for the post with minimum CTC of Rs. 08 Lacs. Desirable: Experience of working on projects of tunnelling/ underground stations of urban railways/ other major underground works/ viaduct and bridges/ ballast-less track works.  Candidate should be conversant with international competitive bidding, computerized environment working etc.  Adequate experience in planning, designing, construction, integration and commissioning of civil engineering works for underground/ elevated metro/ rail projects in urban & suburban environment including consultancy works related to urban rail projects.  Candidates with experience of working of modern urban rail system will be preferred.  Candidates with experience in Govt. sector/ Public sector companies/ large scale infrastructure Projects / Metro rail companies will be preferred.